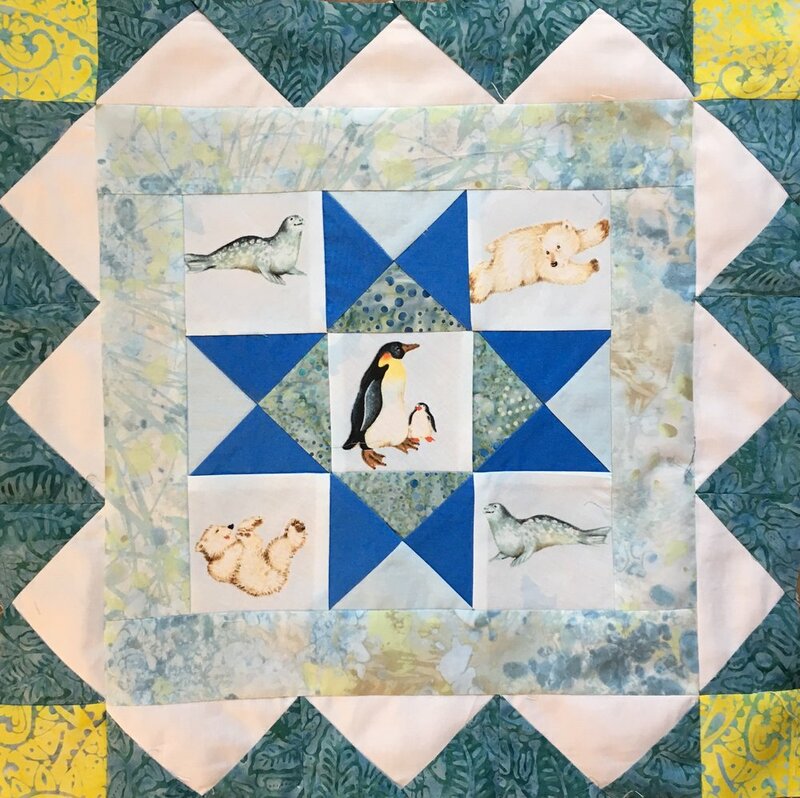 In the last post I started the directions for making a Crib/lap size Medallion Quilt. Step 1 was creating the 9 1/2 x 9 1/2 inch central focal block for the medallion quilt. This post will include the steps for the concentric strip sets, working in Round, keeping the quilt square. Step 2 and Step 3 can be seen with the central medallion in the picture above. 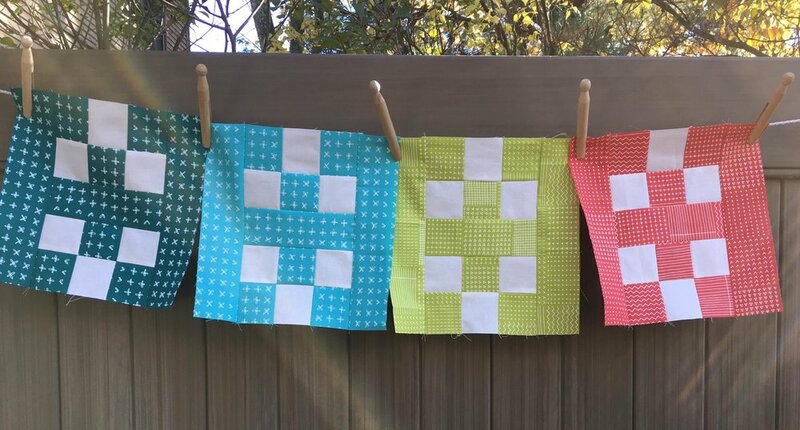 Draw a diagonal line down across each of the (24) 2 1/2 inch squares. Place a square on the right side of the solid rectangle and sew just to the inside (closer the the corner) of the drawn line. Press. Trim seam to 1/4 inch. 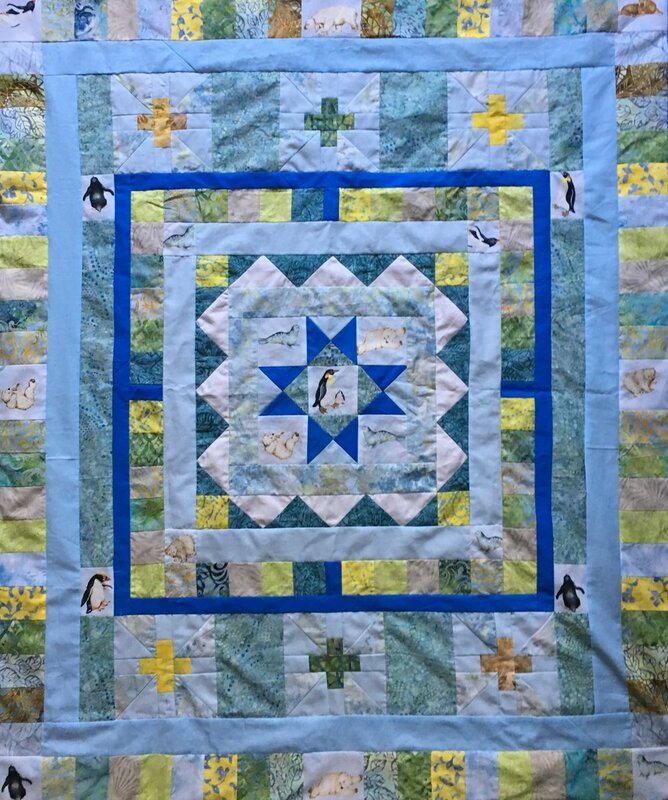 Repeat on the left side of the rectangle to complete the flying geese block. 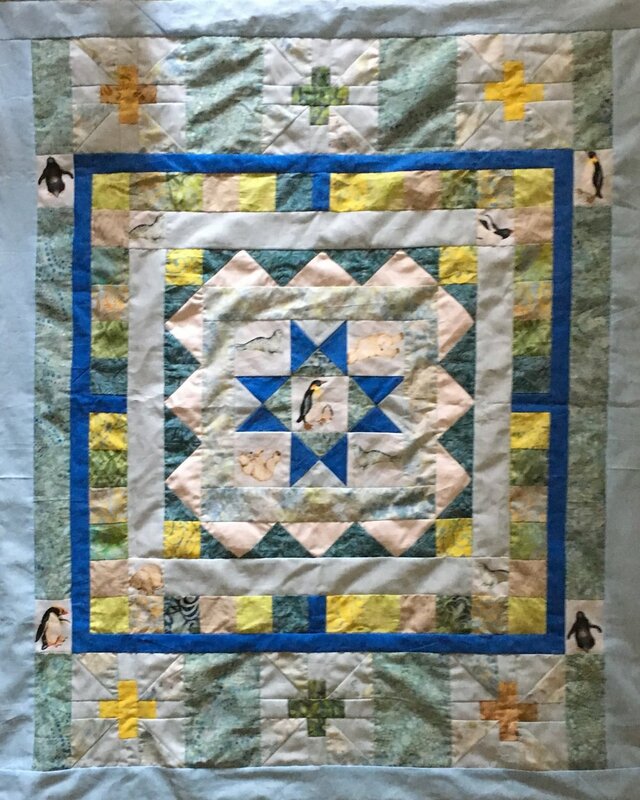 Sew two solid strips to each side of the quilt. Sew a corner block to each end of the remaining 2 solid color strips. PressBe careful of the orientation of the design in your fussy cut block if there is a right way up in the pattern. Sew the strips with the corner blocks to the quilt. Press. Sew (1) 1 1/4 x 2 1/2 inch spacer blocks to 1 strip of 5 blocks. Then sew another 5 block strip to the other side of the spacer. Make one more unit this way. Sew (1) 1 1/4 x 2 1/2 inch spacer block to 1 strip of 6 blocks. Then sew another 6 block strip to the other side of the spacer block. Make one more unit this way. 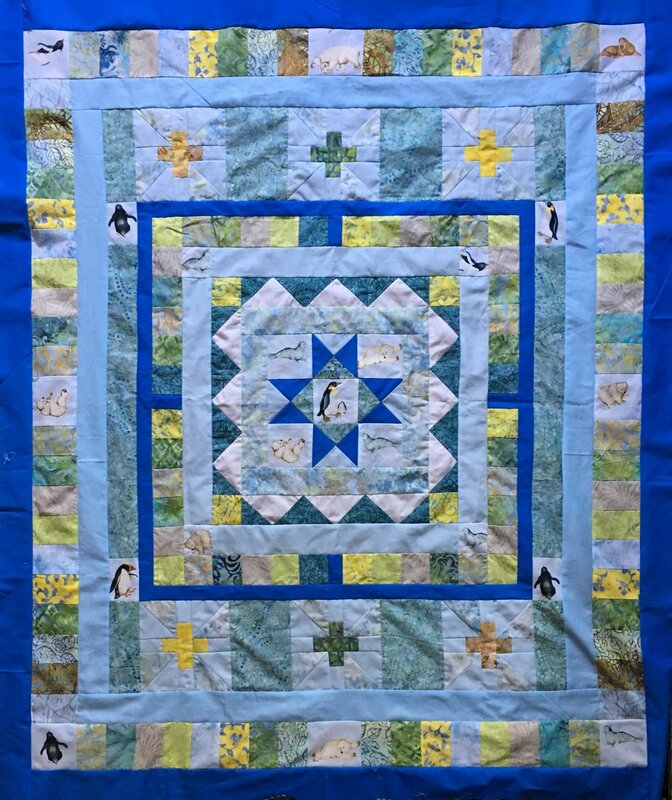 Next week working in the round will be finished and the quilt will be changed into a rectangle.